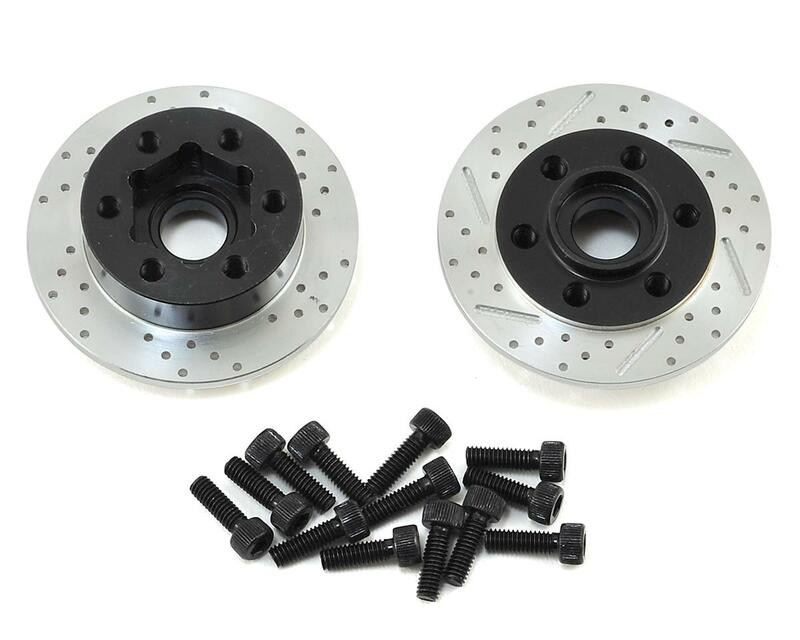 SSD +3mm Offset Wheel Hubs feature a machined in brake rotor that gives your rig a greater scale appearance. 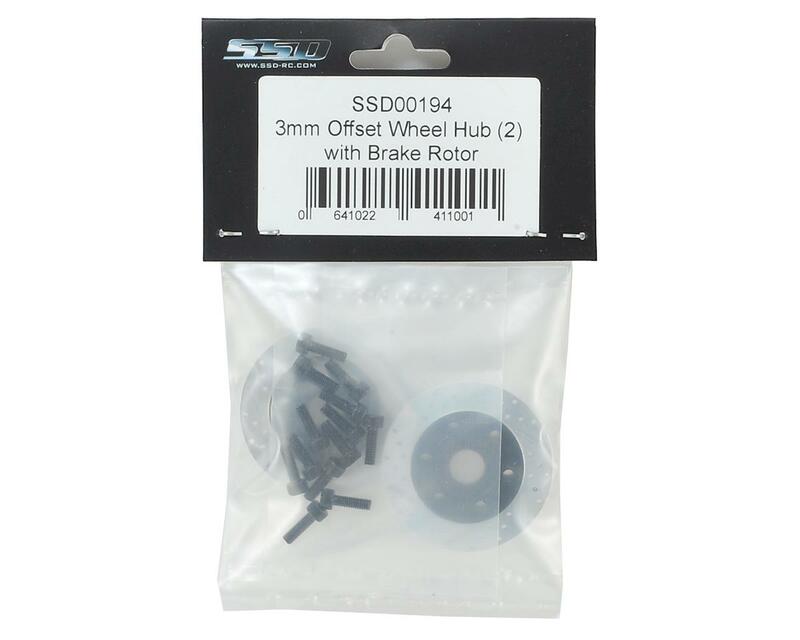 Lightweight with a SLW hub bolt pattern, these hubs add 6mm to the overall track width, fit all SSD 1.9 and 2.2 wheels, and will fit wheels from VP, Axial, Proline, Locked Up, Gearhead and others that have a 35mm interior clearance. Fit and finish is excellent! Just a little extra track width without being too much. Nice scale details. Great quality overall. But these don't fit my VP/ Incision Method wheels. The bolt pattern on the brake rotor is just a little bigger diameter than the wheel bolt pattern. I'll save them for another project.